Wholesale pallet of cookware, bakeware, small kitchen appliances, electrical and non-electrical from major retail store. Approx. 22 Pieces. Mixed models and brands. Perfect for all types of resellers. These lots have historically been very profitable for resellers due to the low prices per unit. The items in the lot consist of store returns. Some of the brands that may be included are Bella, Anolon, Pyrex, Calphalon, Martha Steward, Homedics, Belgique, T-Fal etc. The items may include: cookware, blenders, toaster ovens, storage containers, juciers, coffee/espresso makers and more. Picture shows actual items in this Lot. 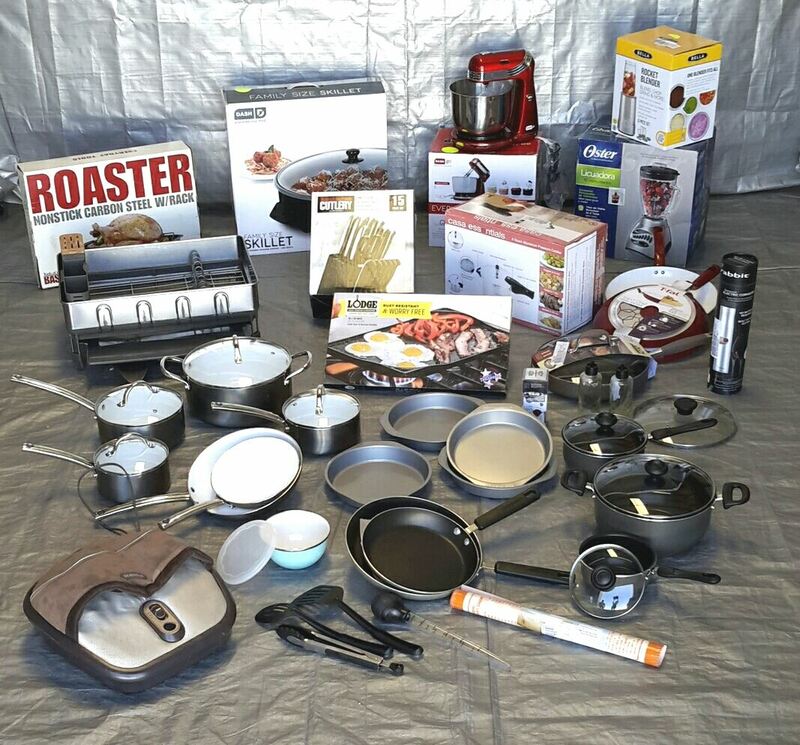 Click the button below to add the Wholesale Lot of 22 High End Small Kitchen Appliances, cookware, bakeware and MORE to your wish list.